JANOVIA Plus is a sterile pyrogenic – free physiological solution of cross – linked hyaluronic acid which is not of animal origin . the gel is presented, pre-filled, disposable syringe. 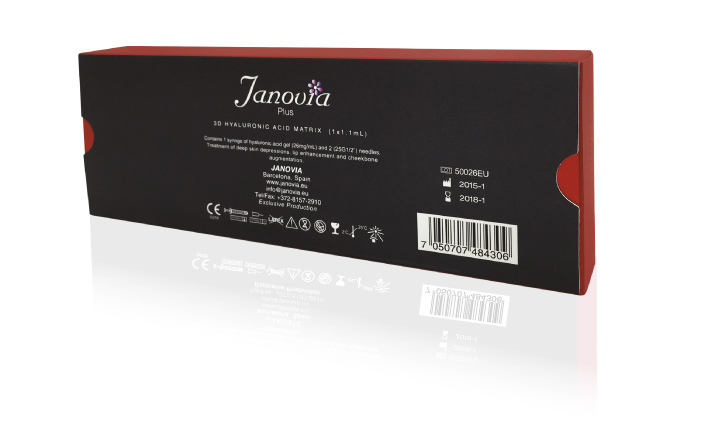 Each box contain syringe of 1.1 mL Janovia plus 2 single – use 25G 1/2″ sterile needles to be used only for injection Janovia plus an instruction leaflet and a set of labels in order to ensure traceability . The contents of the Janovia plus syringes are sterilized by moist heat. the 25G needles are sterilized by radiation . Janovia plus is an injectable implant used for filling any deep depressions of the skin via deep dermis injection, as well as for lip enhancement and cheekbone augmentation . Do not inject Janovia plus in the periorbital area (eyelids, under eye area, crow’s feet) and glabella region. Do not inject into the blood vessels (intravascular). -Patients suffering from untreated epilepsy . -Patients who tend to develop hypertrophic scarring . -Patients with known hypersensitivity to hyaluronic acid . -Women who are pregnant or breastfeeding. Janovia plus must not be used in areas presenting cutaneous inflammatory and/or infectious processes (acne, herpes, etc. ). 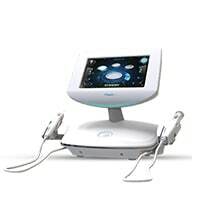 Janovia plus should not be used simultaneously with laser treatment, deep chemical peels or dermabrasion . 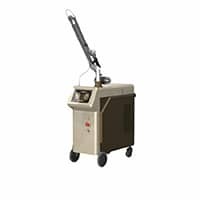 For surface peels. 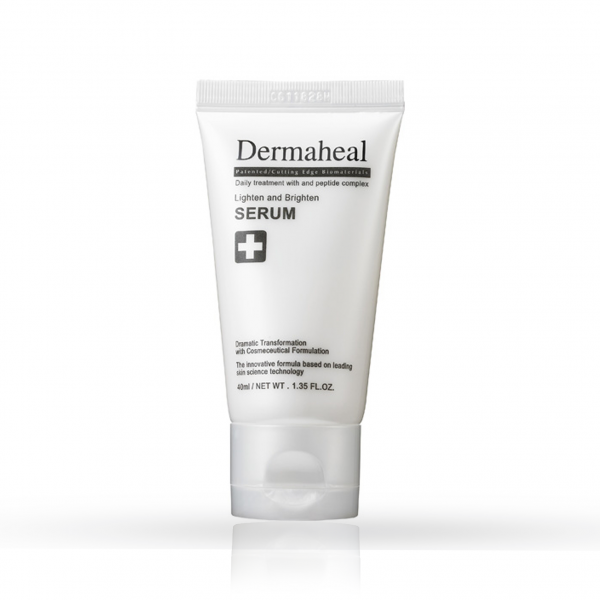 It is recommended not to inject the product if the inflammatory reaction generated is significant . 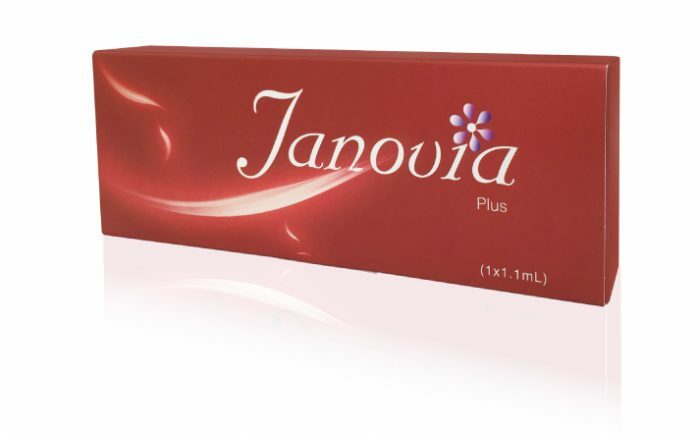 Janovia plus is indicated only for intra – dermal injections and injections in the mucous membrane of the lips. As a matter of general principle, injection of a medical device is associated with a risk of infection. There is no available clinical data (efficiency, tolerance ) about injection of Janovia plus into an area which has already been treated with another filing product. It is recommended not to inject it in site which has been treated with a permanent implant . No clinical data is available regarding the efficiency and tolerance of Janovia plus injections in patients having a history of , or currently suffering from, autoimmune disease. The medical practitioner shall therefore decide on the indication on a case-by-case basis, according to the nature of the disease and its corresponding treatment, and shall also ensure the specific monitoring of these patients. In particular, it is recommended that these patients undergo a preliminary dual test, and to refrain from injecting the product if the disease is active. There is no available clinical data concerning the tolerance of the Janovia plus injection in patients presenting a history of severe multiple allergies or anaphylactic shock. The medical practitioner shall therefore decide on the indication on a case-by-case basis according to the nature of the allergy, and shall also ensure the specific monitoring of these at-risk patients. In particular, the decision may be taken to propose a double test or suitable preventive treatment prior to any injection. Patients showing a history os streptococcal disease (recurrent sore throats, acute rheumatic fever) shall be subjected to a dual test before any injection is administered . In the event of acute rheumatic fever with heart complication, It is recommended not to inject the product. Patients on anti-coagulation medication (anticoagulants, aspirin or nonsteroidal anti-inflammatory drugs) must be warned of the potential increased risks of haematomas and bleeding during injecton. There is no data available regarding the safety of injection greater amount than 20 mL of Janovia plus per 60 kg (130 lbs ) body mass per year . The combination of Janovia plus with certain drugs that reduce or inhibit hepatic metabolism (cimetidine, beta blockers, etc.) is inadvisable . Janovia plus should be used with caution in patients showing symptoms of conduction disorders. 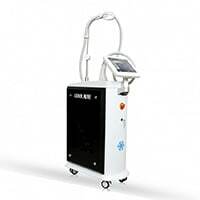 Please recommend that the patient not use any makeup during the 12 hours following the injection treatment and that any extended exposure to the sun, UV rays and temperatures below 0 C be avoided, as well as any sauna or hammam sessions during the two weeks following the injection treatment . If te needle is blocked, do not increase the pressure on the plunger rod but stop the injection and replace the needle . Athletes should be made aware that this product contains an active principle that may produce a positive result in anti-doping test. The composition of this product is compatible with fields used for magnetic resonance imaging . Hyaluronic acid is known to be incompatible with quaternary ammonium salts such as bensalkonium chloride. Janovia plus should there gore never be placed in contact with these substances or with medical- surgical instrumentation which has been treated with this type of substance . Inflammatory reactions (redness, oedema, erythema, etc. ) which may be associated with itching or pain on pressure or both, occurring after the injection. These reactions may last for a week. Induration or nodules at the injection site . Staining or discoloration of the injection site . Poor effect or weak filling effect. Case of necrosis in the glabella region, abscesses, granuloma and immediate or delayed hypersensitivity after hyaluronic acid injections have been reported. It is therefore advisable to take these potential risks into account. Patients must report in inflammatory reactions which persist for more than one week, or any other side effect which develops, to their medical practitioner as soon as possible. The medical practitioner should use an appropriate treatment . Any other undesirable side effects associated with injection of Janovia plus must be reported to the distributor and / or to the manufacturer. 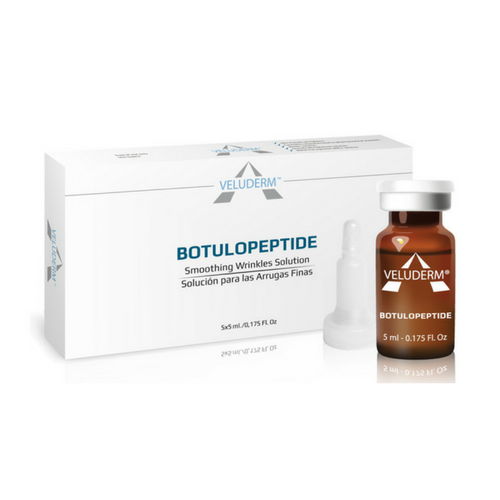 This product is designed to be injected into the dermis or the mucous membrane of the lips by an authorized medical practitioner in accordance with local applicable regulation. 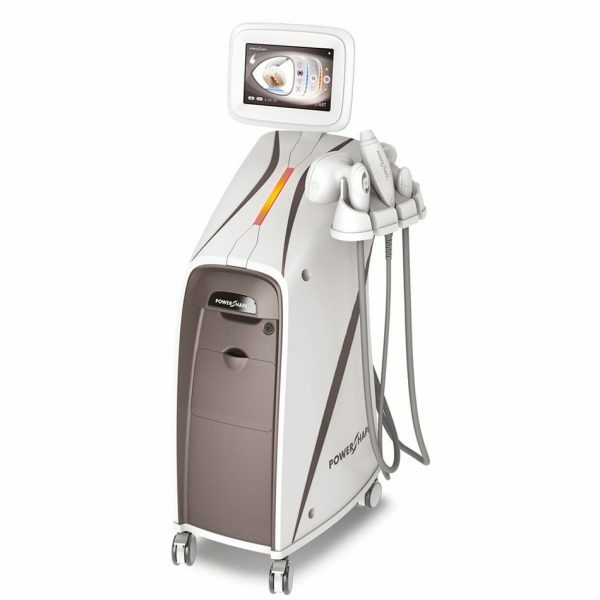 As precision is essential to a successful treatment, the product must be used by medical practitioners who have undertaken specific training in injection techniques for filling. Janovia plus is to be used as supplied. Modification or use of the product outside the Directions for use may adversely impact the sterility, homogeneity and performance of the product and it can therefore no longer be assured. Before starting treatment patients should be informed of the product’s indications, contra-indications, incompatibilities and potential undesirable effects. The area to be treated should be disinfected thoroughly prior to the injection. Remove tip cap by pulling it straight off the syrings as shown in fig. then firmly push the needle provided in the box into the syringe, screwing it gently clockwise. Twist once more until it is fully locked and has the needle cap in the position shown in fig. 3. If the needle cap is positioned as shown in fig. 4 , it is incorrectly attached. Next, remover the protective cap by holding the body of the syringe in one hand, the protective cap in the other, as shown in fig5 , and pulling the two hands in opposite directions. Failure to comply with these precautions could case a disengagement of the needle and/or product leakage luer-lock level. 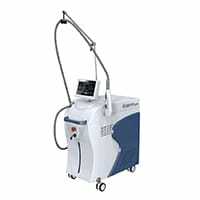 The amount injected will depend on the areas which are to be corrected. It is important to massage the area treated after the injection in order to ensure that the substance has been uniformly distributed. Check the expiry date on the product label. Do not re-use. Sterility of this device can not be guaranteed if the device is re-used. Used needles must be thrown away in the appropriate containers. Do the same for the syringes . Please consult the current applicable directives to ensure their correct elimination . Never try to straighten a bent needle , throw it away and replace it .